Proudly Celebrating our 100th Anniversary! All entries must submit entries that were made using the sponsor`s product. All entries will be judged on appearance, texture, creativity of recipe and presentation, weighted equally. Decision of the fair judge(s) will be final. No proof of purchase is required. A recipe must accompany each entry. Winners must be available for a photograph to be submitted to the sponsor with their name, address and recipe. The winner must sign a permission form allowing the sponsor to use their name, photograph and recipe in any advertising or publicity without payment. 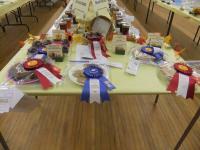 The first-place winner in each local fair is automatically entered in the national contests when their recipe and signed declaration and release form are submitted to Country Fair Baking by the local fair convenor. National prizes will be sent directly to the winner. By submitting an entry, which includes a signed release form, contestants agree to the use of their name and winning recipe for promotional purposes by the sponsor. Competition is open to all exhibitors. Entry must be made solely by the person entering the competition (including pastry). Five full size butter tarts (no minis or bite size), must be on a white paper plate inside a clear plastic bag. The winning entry will move on to the fall District meeting in October in Matheson and the winner from there will enter in the competition at the 2019 Convention in Toronto in February. Must be displayed on a disposable plate in a Ziploc bag. Winner will be eligible to enter at the District Competition in Matheson in October. CONTACT DIRECTOR FOR BAKING SPECIALS, ie. 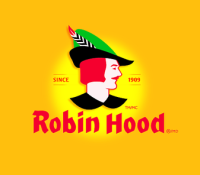 Robin Hood, Crisco, etc.